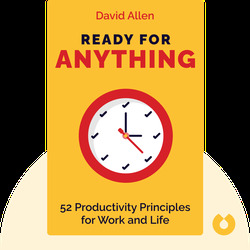 In Ready for Anything, productivity expert David Allen presents a variety of techniques that will help you clear your mind and your desk, deal with the things that hold you back, and prepare for all the creative, challenging and rewarding projects that will come your way. 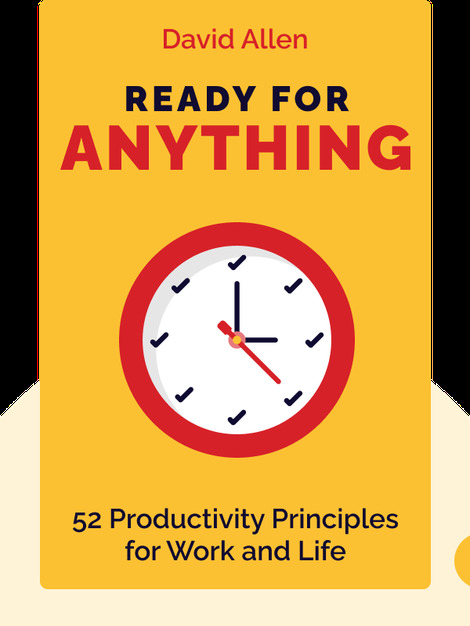 Additionally, the book serves as an introduction to the general principles of Allen’s groundbreaking productivity system. Productivity consultant David Allen is considered one of the leading experts on organizational and personal productivity. Best known for creating the highly popular “Getting Things Done” time-management method – and authoring the bestselling book of the same name – Allen is also ranked among the top 5 executive coaches in the world.